Summer is a mother, wife, Bartender at Marker 32, Co-Owner/Right-Hand-Woman at The Training Yard and Beaches Rock Gym, and newly appointed Realtor at Keller Williams. Her various, demanding career ventures and overall schedule leave us wondering where the heck she finds the time, but amidst the hustle and bustle of being constantly on-the-go, she strives to keep her passions at the forefront of her work and life. To us, there's nothing more honorable than that. Michelle Obama. She is strong, smart and never loses her cool. You can tell she is no pushover, yet exudes elegance. I also have a large group of girlfriends who motivate me every day for different reasons. We like to work hard and all have different strengths thaten courage each other to be better people. We also like to have a lot of fun. My girlfriends are awesome. Building stuff in my woodshop, eating, cooking, beach, gardening/yard work. 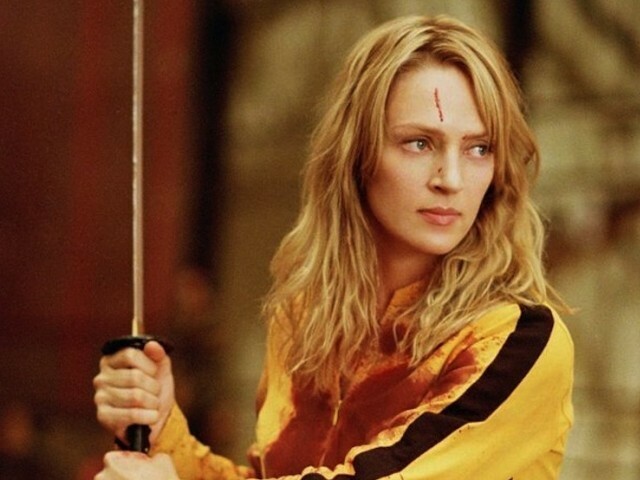 Uma Thurman in Kill Bill(s). Ribs, lobster, Caesar salad, calamari, mint chocolate chip ice cream. My innate love and 10,000-hour rule is the service industry. I have been bartending for 15 years and grew up behind a bar. I genuinely enjoy people of all walks of life and giving them a great experience. My bar regulars have come to be my extended family over the years. My husband and I own The Training Yard in Atlantic Beach, where we offer strength and condition classes as well as a mix of martial arts and boxing. We have been around roughly nine years now and the people who are part of our gym are wonderful. It is his baby but I have been the substitute teacher, cleaner, toilet fixer and glue over the years. We have some amazing, strong and wonderful women who have been with us for many years and keep me motivated. Additionally, we opened Beaches Rock Gym in Atlantic Beach last year. With the partnership of our friend Mac, we worked hard to have Jax beach’s first bouldering gym. It has been a fun new addition to the community, following in the path of health, fitness and being outdoors. Most recently I have become a realtor with Keller Williams. I realized my love of homes stems back for childhood. Looking back now, I would have gone to school for architecture or engineering in college. I’m excited for the opportunity real estate may bring to my future and I want to go big. I want this to be the career that gives me the means to help my community and make a difference. I start out with coffee! Then I let the chickens out, make breakfast for my son and get ready to go to The Training Yard and/or Keller Williams. I try to get to the office and follow up with people throughout the day. I work three nights a week at Marker 32 as well. I am juggling mom, wife, realtor, bartender and helping as needed at our businesses. I‘ve always had a competitive spirit and loved team sports. Unfortunately, I had two knee surgeries at an early age that prevented me from continuing to play. Therefore, I got a job at a juice bar that promoted health and wellness. I used to cut fruit and juice for hours and make smoothies, wheatgrass, etc. I remember reading Michael Pollan and Jethro Kloss 20 years ago (or more). I’m fascinated by food—where it comes from and the effects of diet on our health. What motivates you to keep an active lifestyle? How do you balance being a mother, wife, business owner, bartender and all of your other hobbies? What prompted you to acquire your real estate license? I love home design. I like to build and renovate. I hope to design a community one day as well as my own home. Jumping into a real estate has been the biggest milestone for me. I already had a lot going on and I’m really going after this too. It has made me understand that sacrifice is important to achieve big goals in life. I haven’t found it has affected me professionally, as I don’t let much get in my way. I love being a woman and I find myself always seeing other amazing women who inspire me everyday. The key is to surround yourself with and support other women around you. What are some of the everyday struggles with your job we might not see? I’m not used to being behind the computer. It is an adjustment for me. I am seriously thinking about getting a treadmill in my office! What’s your biggest strength in your role(s)? I don’t hold anything back. There isn’t much people don’t know about me. I wear my heart on my sleeve. No BS. Knowledge is power. Ask a lot of questions. The ability to help others through being a good role model in society (and financially help as well). Group fitness and a good cocktail. I love to set goals. I keep a board next to my bed with my goals. Law of attraction! You are braver than you believe, stronger than you seem, and smarter than you think. Just do it. All photos belong to Summer Grant unless otherwise specified.